Anyone who has a passion for Electronic music like myself knows that the genre is synonomous with names like Boys Noize, Justice, and The Chemical Brothers. What better way to spread the word of electronic music than having all three of those pioneers on this post? 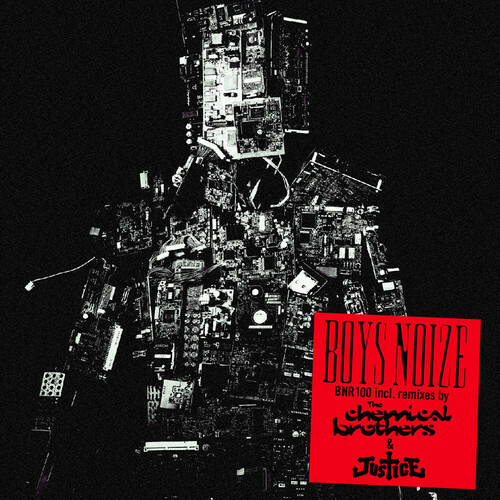 Here are Justice and The Chemical Brothers remix to “ICH R U” which is going to be the #100 release on Boys Noize Records. The Justice remix takes me back to their old school sound that helped me fall in love with house music. The melodic, almost tron-like buildup with their French Electro drop just emanating throughout the preview, there’s no question this remix’s release will be highly anticipated by us all.. The Chemical Brothers remix takes on a different approach, a bit heavier on the drop, but definitely sticking to that hard electro sound similar to the Justice remix. This one holds defining elements of the original with a little more roaring bass and progression. Best part is you can at least download these previews while anticipating the official release! Enjoy!